(91outcomes.com) - The U.S. House Appropriations Committee today cleared legislation containing a strong level of continued funding for the treatment-focused Gulf War Illness research program, part of the Congressionally Directed Medical Research Program (CDMRP) within the U.S. Department of Defense's health budget. 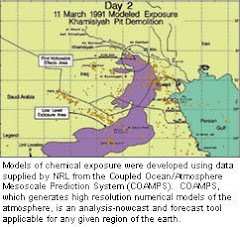 Most of the research funded by earlier allocations to the program remains in progress, including two $5 million, four-year projects aimed at developing Gulf War Illness treatments via mouse toxic exposure models, molecular profiling, and massive, cutting edge information technology analyses. One, centered at Boston University, is delving into deciphering and finding treatments for the chronic neuroinflammation thought to be central to Gulf War Illness while the other, based at a new center at Nova Southeastern University in southeast Florida, is seeking a "reset" of fundamental alterations in Gulf War Illness patients' body systems. Other earlier research funded by the program has focused on testing "off the shelf" treatments that plausibly might help reduce some Gulf War Illness symptoms, while other funded research projects seek to get at the mechanisms underlying the disease that afflicts between one-fourth and one-third of the veterans of the 1991 Gulf War and may also afflict veterans of other eras with similar toxic exposures. Three "off the shelf" treatments have already shown promise, most notably Coenzyme-Q10 (CoQ10), a substance that provides fuel for cells within the human body. Rep. Roe said in a statement about the funding measure, “As a member of the House Veterans Affairs Committee and a veteran myself, I believe we have a huge responsibility to ensure that these efforts continue, for these veterans and for current and future U.S. forces at risk of similar exposures and outcomes. As combat continues to evolve, we must have the capability to provide quality care to our returning servicemembers. This letter encourages appropriators to continue supporting this important research and I am proud to lead this effort." "When our warriors return from battle, it’s our duty as a grateful nation to provide them with the best care possible, based in sound medical research. In order to achieve this goal, we must continue to invest in research that helps us better understand the risks and exposures they faced in combat. That is why I am proud to join my friend and colleague, Rep. Roe, to lead this letter in support of the successful Gulf War Illness Research Program," said Rep. Walz in a related statement. Jim Binns, former chairman of the Research Advisory Committee on Gulf War Veterans Illnesses (RAC), said in a related statement, "Gulf War veterans and the researchers working to improve their health are exceedingly grateful for Congressman Roe and Congressman Walz's leadership." The treatment research funding recommended by the U.S. House of Representatives Defense Appropriations Subcommittee accompanies the broader Defense Appropriations Act for Fiscal Year 2016. 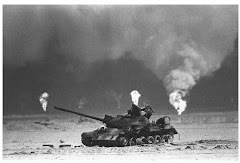 Under the bill, the Gulf War Illness research program would not only be continued, but would be funded at $20 million for FY16 -- stable funding that would hold steady with the current fiscal year's funding level. The panel's recommended funding level for the program is expected to remain intact through full passage by the House. Senate and conference committee actions could impact the final funding level for the program before the bill's contents ultimately head to the President for his signature.